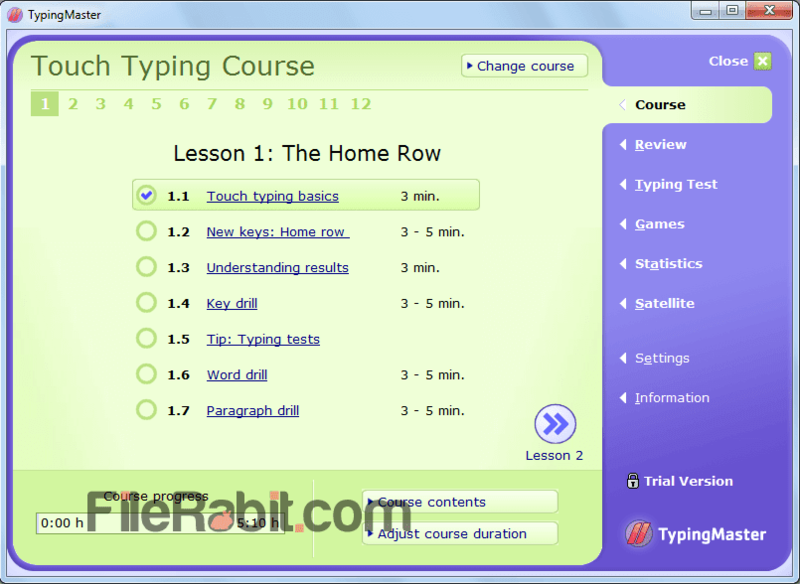 Typing Master Pro allows you simple and easy lessons to boost typing speed easily. Just place your fingers on perfect position on keyboard, start writing slowly and get perfect typing speed after completing major courses. A small and smart computer typing teacher that will help its student to boost up typing speed at professional level. 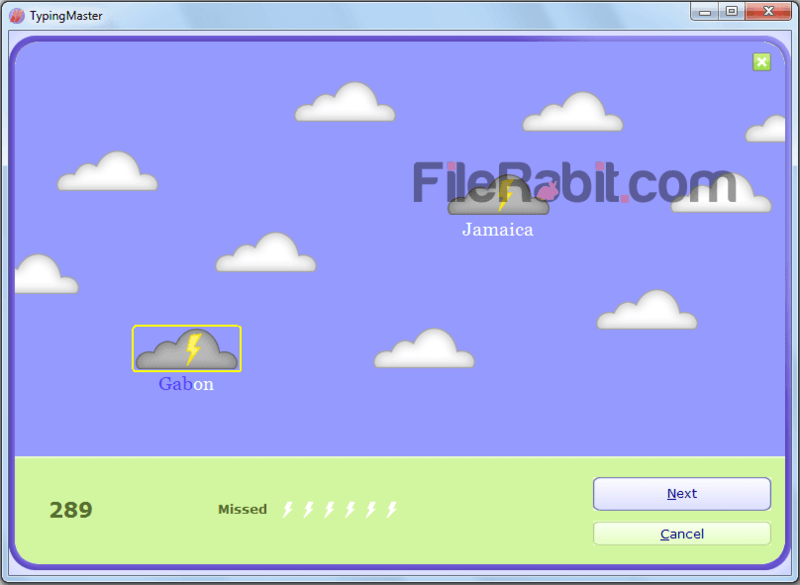 Typing master has included a wide collection of paragraph, phrases, flash based games, general knowledge database and more. The whole typing tuition is divided into several lessons where 8 keys were mentioned with perfect finger positions. Perfect typing needs perfect position on right keys for example left hand fingers must be on ASDF keys and right hand fingers should be on JKL; keys. If a typist follow these lessons, it means the user can type anything without seeing on keyboard buttons. However, Typing master pro features lots of lessons divided on dozens of steps. A beginner user should start from lesson 1 to accelerate typing speed immediately. The professional or advanced typist can start any lesson from anywhere. 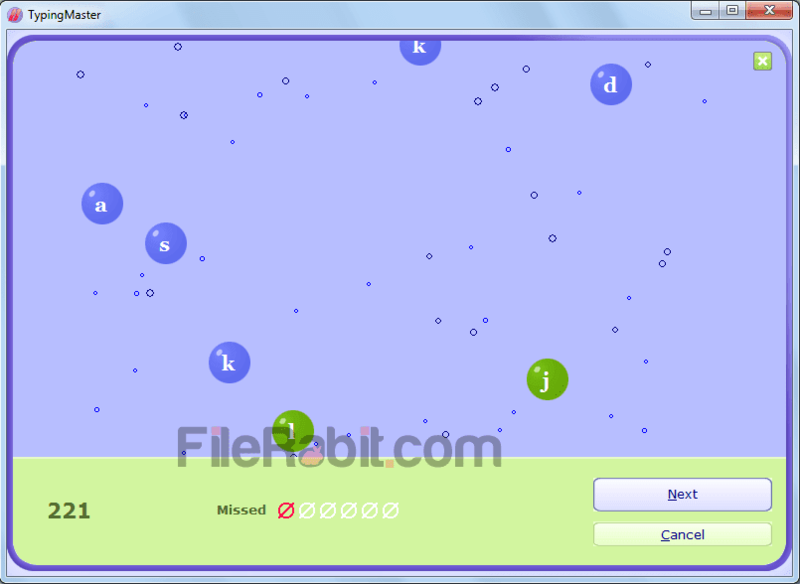 Flashed based games will show combination of small letters, capital letters, special keys, numeric keys and symbolic typing area as well. Typing Master Pro has touch based typing courses that are long as 10 of hours with mixture of games, lessons, keywords, phrases, combination of various capital and special keys. The best practice will accelerate typing speed at 40 WPM easily. The screen of typing master shows keyboard with both hand fingers mention with different color scheme. Moreover, a typist is able to save hours of typing while working as blogger, news reporter, office clerk or anything more. The keyboard layout support QWERTY, QWERTZ, AZERTY and Indian styles. All of these can be converted to any coloring scheme and keyboard style. Select personal keyboard with 104 or 105 keys based keyboard layout. Typing master will monitor error keys, offer best suggestions to fix troubling keys and also monitor realtime typing speed measurement.